Visit here to get some insight on the people and places from the history of animation. We strive for accuracy and will often go to extreme lengths to ensure that the truths are revealed! Like many seaside communities, Santa Barbara has been home to quite a number of artists. A handful of them would move to Los Angeles and ply their profession in the field of animation. Others from the industry would eventually retire in this picturesque community. In the late 1920s and early 1930s, two men who would later have significant careers in the field, were neighbors here on the same street! These two were Erni Nordli and Paul Julian. They were separated in age by just two years and likely attended the same schools, though history doesn't record if they actually knew each other while they were neighbors. By 1930, seventeen year old Ernest Nordli and his family had recently relocated here from Salt Lake City, his birth place. 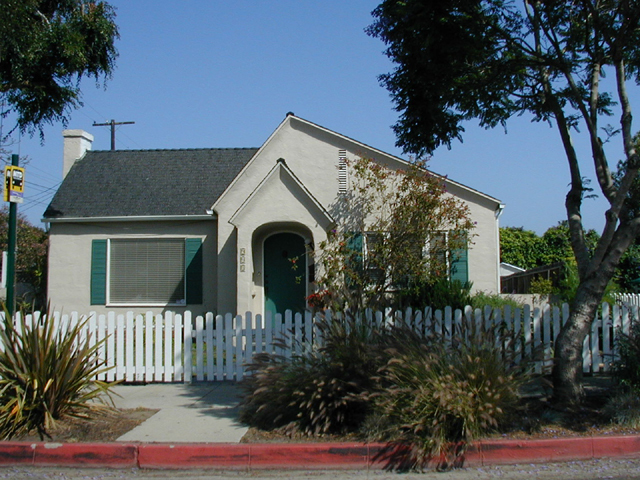 His parents, Hans and Hattie moved the family into a modest home at 901 Valerio Street just southwest of the town's business district. Ernest had five siblings; one older brother, Philip; two younger brothers, William and Douglas and two younger sisters, Ruth and Genevieve. The family of eight squeezed into this three bedroom home where they all shared one bathroom. A career in the arts was not an unlikely pursuit for Ernest. His father was a lino-typist at a nearby publishing house and his mother taught music at their home. Within the next few years, Ernest would be among the artists working at the Disney Studio on Snow White and the Seven Dwarfs. Later he would be an art director on Dumbo and Fantasia then moved into layout at both Warner Bros. and Disney's. A few houses up the street, beyond a dog-leg in the road, was the Julian family who had moved west from South Bend, Indiana a decade earlier. Paul Julian was born Paul Hull Husted on June 25, 1914 in Illinois. His brother Harry was born two years later in Indiana. By 1920 their mother, Esther, had married a second time to a gentleman by the name of Frank Julian. While it is not clear what became of their father, (He may have been killed while serving in WWI) it is known that within the next few years the boys would take the name of their stepfather. The Julian family would grow to six with the arrival of two more boys, Frank Jr. and Daniel, born after they arrived in Santa Barbara. 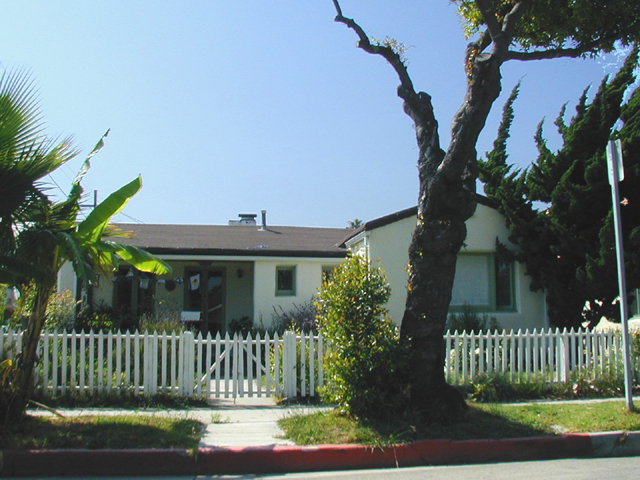 Their three bedroom home, similar to many in the area, can be found at 814 W. Valerio Street. Between Frank, a barber and Esther, an art school instructor, the family was well-off enough to have a live-in servant, Margaret Johnson, who was from Scotland. Paul Julian would go on to become a prolific watercolorist and a well respected background artist at several studios including Warner Bros. and UPA, where his paintings were the essence of the Oscar-nominated short, The Tell-Tale Heart. Note: This is the first of what will certainly be many posts on this subject. Over the past fifteen years I have done a tremendous amount of research on where the luminaries of the industry lived and worked. Along the way I discovered that quite a few lived near one another and in some cases were even roommates. Some of the names you'd expect (Frank Thomas and Ollie Johnston, for example,) while others are quite surprising! If you liked this post, there is a lot to look forward to in the coming months! I, for one, am enjoying this tremendously, and can't wait until your next posting, Joe! Please carry on. This is fascinating.